It's safe to say I've fallen in love with these lip colours, the one thing I always struggle to find is a lipstick that has a high pigmentation. For my lips, I need a lot of colour for it to really show up and I'm not very keen on using concealer first to mute my natural lip shade. 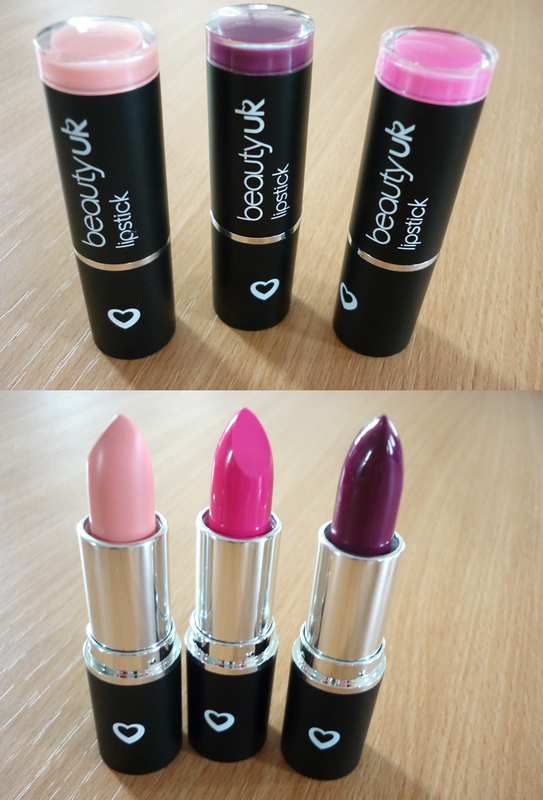 Beauty UK* has been a high street favourite of mine for a good few years now, I first fell in love with their nail varnishes and their eyeshadow palettes, but strangely I have never got around to their lipsticks! The three shades here are no.17 plumalicious (darkest shade), no. 14 cupcake (light pink) and no. 16 pink my ride (bright pink). As you can see from my swatches the pigmentation is absolutely incredible, the texture of the lip product is incredibly moisturising but it still delivers perfect colour and shine. I have never heard of Beauty UK, thanks for the tip. I think I should start wearing lipstick, or at least start putting some color on my lips. 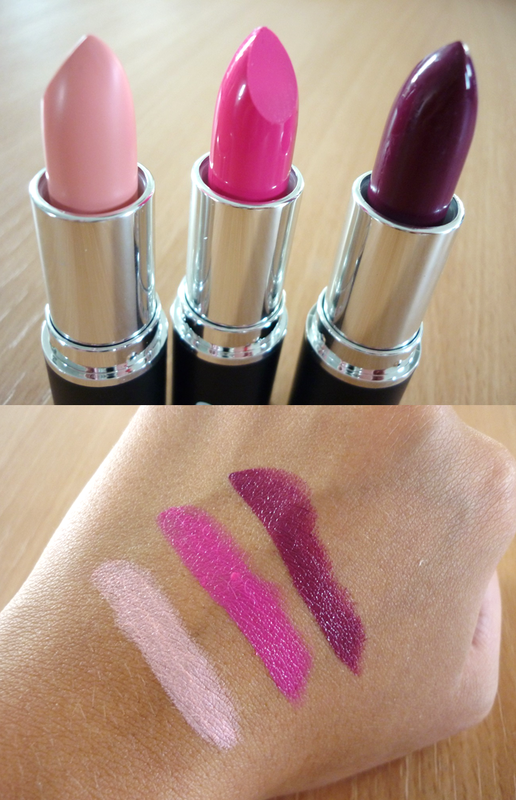 Can~t say I~´ve ever tried anything from Beauty UK, but the plum shade looks gorgeous. They do look really moisturising too, which is always a bonus. I love the dark purple shade. Very cool! lovely colors! !These just look gorgeous!!! I love that plum shade! Awesome blog!